If you currently work in healthcare technology, no doubt you’re already keeping up with the trends that are going to make a splash in 2019. 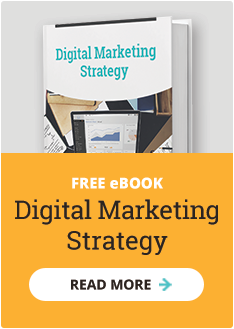 But many of these exciting new developments in healthcare can also contain valuable insights for your healthcare IT marketing strategy. In this post, we’ll look at four of the key trends coming up in healthcare tech in 2019, and the lessons they offer for updating your marketing strategy. Virtual reality (VR) and augmented reality (AR) are becoming increasingly important in healthcare. They can be a valuable tool in patient care - for instance, Maplewood Senior Living in Connecticut have experimented successfully with using VR headsets to treat patients with dementia and other cognitive issues. VR is also being used in diagnostics, offering fully immersive images of internal organs, and in medical training, allowing students to explore medical procedures in a risk-free environment. VR can be an exceptional tool for creating far more high-impact product demonstrations, enabling your prospects to actually experience using your product in the real world themselves. This could be potentially invaluable for converting resistant end-users, such as change-averse medical practitioners. Using VR can also transform a remote sales meeting into an in-person meeting, and dazzle your prospects by establishing your brand as cutting-edge. Deloitte is predicting a boom in the Internet of Medical Things in the next few years, estimating that the market will be worth $158.1 billion in 2022. Technology advances are driving medtech innovation, and the vast quantities of data gathered by the increasing number of internet-enabled medical devices - from pregnancy tests to artificial joints - are swelling to create an online infrastructure of health systems and services. Medtech devices are not the only healthcare technology solutions that are hard to integrate into existing systems - anyone working in healthcare IT is aware of the painfully slow sales cycle, and a large part of the hold-up is a serious concern about connectivity and security. Healthcare providers often rely on “proprietary protocols” and homemade systems, and worry about serious connectivity issues with the introduction of any new solutions. Taking an account-based marketing approach could help: creating personalized marketing content for each individual prospect account based on an understanding of their unique IT set-up, offering customized product demos, and promoting your connectivity options. Telemedicine is moving forward in leaps and bounds, with Open Minds calling 2019 the “telehealth tipping point.” Telehealth solutions - such as video consultations, customer portals and app-based psychotherapy tools- are being widely adopted by health plans. Follow the lead set by telemedicine, and conduct “real-time monitoring” of your existing clients to make sure they stay happy, loyal, and outspoken promoters of your product. After all, HIMSS Media found that “8 out of 10 healthcare IT buyers are instrumental in driving new clinical & tech initiatives to enhance processes and enable new models of care;” in other words, your customers are also potentially your top market influencers. Create useful content, tutorials and white papers exclusively for your existing customers, use email marketing to remind them about why they chose your healthcare software in the first place, or offer free training packages or discounts on support subscriptions. AI looks set to have a huge impact on medicine in 2019. The FDA has recently approved the first AI-based diagnostic device - a system that diagnoses eye disease with up to 87% accuracy by analyzing photographic images. Meanwhile, researchers at UCLA have combined chatbot and AI technology to create a “virtual radiologist” which gives evidence-based answers to doctors’ medical questions. How can you take advantage of AI in your marketing strategy for 2019? Consider adding a chatbot to your site, if you don’t already have one. Chatbots can help your target customers find the information they want on your website quickly and easily, cut down on routine customer queries, and free up your support team to work on more complex problems or dedicate more time to sales outreach. Or implement one of the AI-enabled marketing tools now readily available. Phrasee can help you analyze and optimize the wording of your marketing campaigns in real-time, instead of conducting weeks of A/B testing; solutions like Articoolo and Quill create AI-generated content for your blog; and Drift can automatically qualifies sales leads in real-time, connect them with the right support agent and book in a sales meeting. 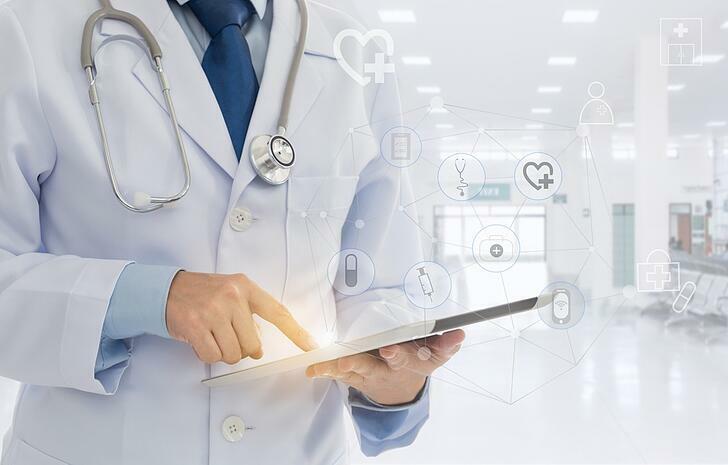 These are just some of the healthcare tech trends we see coming in 2019 - and a few suggestions for how to incorporate them into your digital marketing strategy as well as your software development plans. If you’d like Spot On’s help creating a more successful marketing plan for 2019, don’t hesitate to get in touch.